Men who put their lives on the line in an unpopular war where death is more likely than not, have complicated motivations. They are not easy to control. And they are impossible to stop. Pointer whose father and grandfather were killed in the two world wars. Raised without a father, he seeks to reunite with his dad by immersing himself in combat. It is also the story of the Special Forces Reconnaissance units in Vietnam, units with annual casualty rates that sometimes exceeded 100 percent. Neil's mentor in this hell is Staff Sergeant Shoogie Swift, “their living legend, and welcome to it...” Shoogie was twenty-four years old, and there were no backs to his eyes. His Vietnam memoir War Story won the first Bernal Diaz Award for military non-fiction. 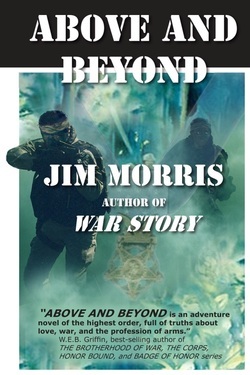 Morris is author of the story from which the film "Operation Dumbo Drop" was made, and has produced numerous documentary television episodes about the Vietnam War. 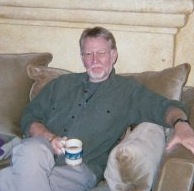 He is author of three books of non-fiction and four novels. He has appeared on MSNBC as a commentator on Special Operations.